Maldivian surfers have been catching waves in a pristine spot in the north Malé atoll since the closure of a popular break in the capital almost two years ago. Ahmed Fauzan Abbas is on a ferry headed towards a popular surf spot an hour from Malé, the capital of Maldives. The surfer, better known as Karo, remembers a time when locals were arrested for surfing in spots where well-heeled foreign tourists were charged US$25 (MVR375) for access to the waves. “Back then surfing had a particularly bad perception. It was something only drug users or ill-behaved young people did. At least that is what people thought,” Karo told the Maldives Independent as the blue and white Lucky Star ferry steered out of Malé harbour. 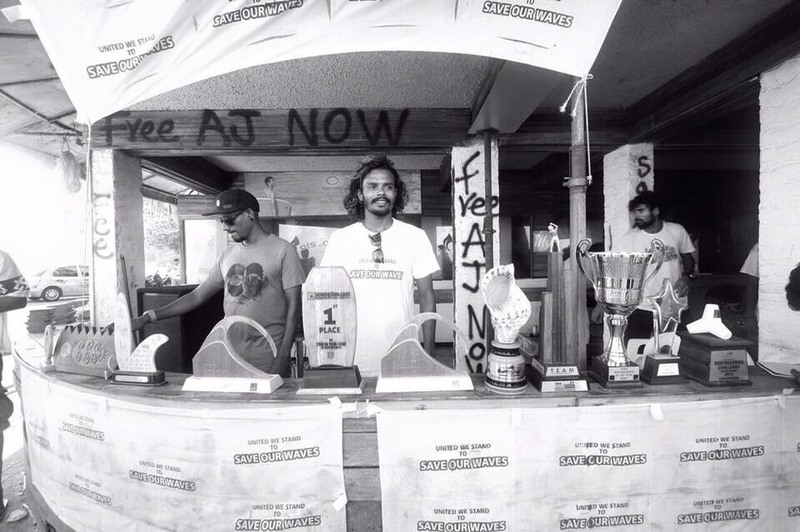 The government-run ferry chugging through the Indian Ocean shows the perception of surfing has changed over the decades, with Maldivian athletes celebrated for achieving international acclaim in the sport. 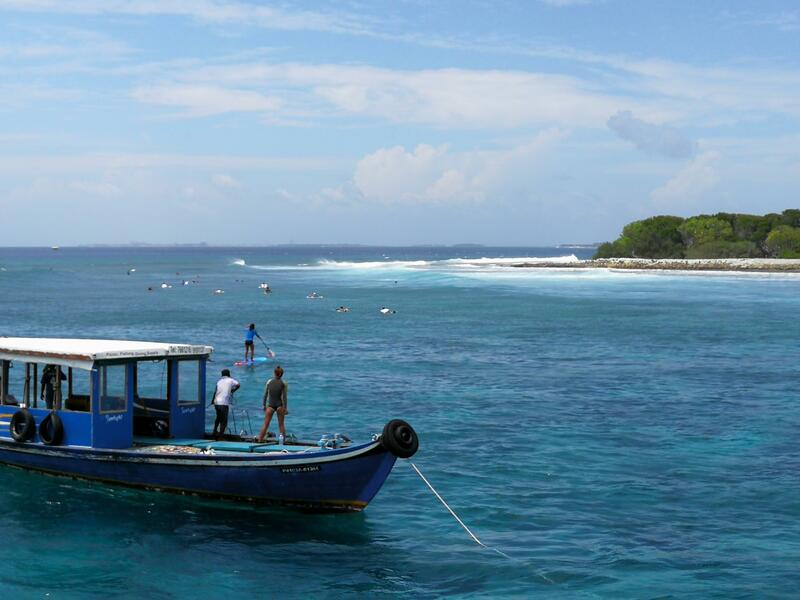 But the boat is also an unwelcome addition to the Maldivian surf scene. 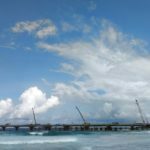 A Malé surf spot, called Raalhugandu, was shut down to allow for the construction of the US$200 million China-Maldives Friendship Bridge that will connect the capital with the island housing the country’s main international airport. Local surfers from Malé and its suburbs now catch the ferry in the morning and travel to Thanburudhoo in north Kaafu atoll to surf, usually returning in the evening. The arrangement is not ideal, especially for those who want a surf break closer to home. Karo, who is president of the Maldives Surfing Association (MSA), sees it as “the next best option” now that surfing in Malé is not possible. Next month will be two years since the closure of Raalhugandu. “To be honest, it was depressing. None of us saw it coming. 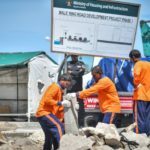 We knew that the bridge construction was planned and we even took part in some meeting about impacts of this, but we were never told that Raalhugandu would be closed,” laments Maldives bodyboarding champion Ali Khushuruwan, locally known as Kuda Ayya. 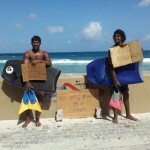 Raalhugandu’s closure saw surfers launch a campaign to “Save our Waves”. At one event they brought out all their trophies to draw attention to their plight. “Raalhugandu in Malé is the perfect wave for both bodyboarders and surfers. It has those difficult waves for professionals and the waves a beginner needs to learn bodyboarding too. I can’t stress how much of a loss it is, of course there are other waves and surf breaks in the country. 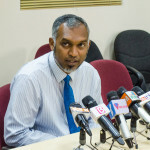 Raalhugandu is different, it is the reason Maldives produced quality bodyboarders,” Kuda Ayya says. Kuda Ayya is testament to the quality Raalhugandu has produced. Without any professional guidance, Maldivian surfers and bodyboarders have competed in regional and international surf tournaments, bringing home a haul of medals including gold. Some also protested the ban in Raalhugandu by surfing there, in some cases being dragged out of the water and arrested. Kuda Ayya, who has won several international titles, was arrested three times. For surfers, Raalhugandu’s demise was felt more keenly due to the loss of two other surf breaks near the capital. Rats was destroyed in 2016 when the capital’s southwestern side was reclaimed for an industrial village. Another surf break, on Hulhulé island, was also wiped out after work started on an airport extension. 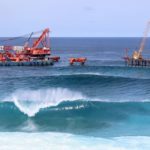 “We want environmental impact assessments for these development projects to consider the changes to important surf breaks as well. There are islands where the economy is dependent on revenues directly related to surf tourism,” Karo says. As the ferry cruises across mostly calm waters, Thamburudhoo appears on the horizon. This spot, in the north Malé atoll, is heaven for surfers. Thamburudhoo with its two pristine surf breaks, a righthander on one side and a lefthander on the other, is flanked by Himmafushi on its southern side and Lhohifushi, a resort island, on its northern side. Himmafushi is home to Jailbreak, named after the prison on the island, while Lhohifushi has hosted World Qualifying Series surfing events on its break. All four breaks are within 10 minutes of each other and create swells of up to 10 metres, luring several “wave-hopping” foreign tourists as well as locals. Karo points towards Himmafushi as the ferry anchors outside Thanburudhoo. Himmafushi is teeming with guesthouses and boutique hotels that cater to surf tourists. Hamdh Abdul Haadhee, a partner at Salt Water Surf Travel, agrees. Given the economic impact of surfing and the international recognition gained by talented athletes, Karo wants policymakers to find ways to support local surfers. The secretary-general of the Maldives Olympic Committee is frank in his assessment. “Surfing is the only Olympic sport from which Maldivian athletes can bring home a medal right now,” Ahmed Marzooq says. “I am not kidding. Look at what surfers have achieved with no technical help from authorities. Surfing has none and they have brought the most international medals to the country,” he adds.